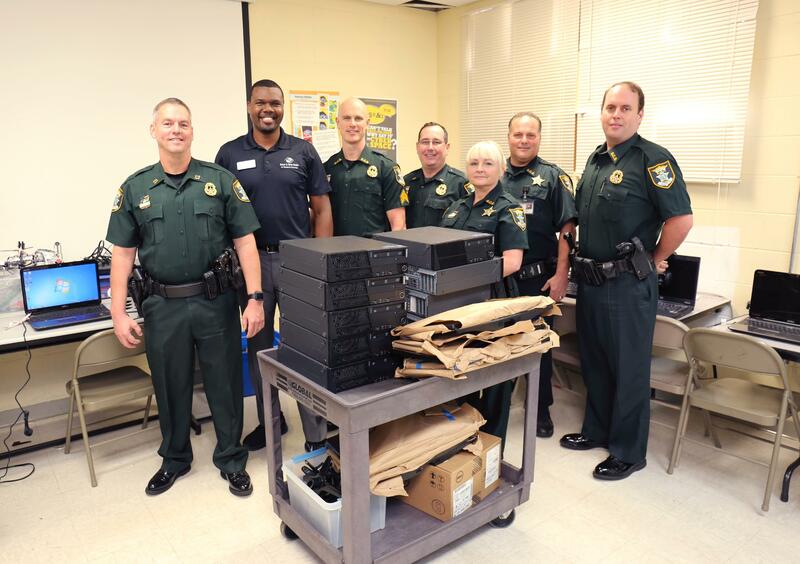 The Sarasota County Sheriff’s Office today donated 10 computers to the Roy McBean Boys & Girls Club in north Sarasota. The computers were seized during investigations into illegal internet gambling cafes throughout Sarasota County and prior to the donation, cleaned by digital forensic technicians. The 10 computers will be repurposed and placed in the afterschool computer labs at Roy McBean.